Are you searching for buyers offering Cash for Silver services in Delhi NCR? You’re most welcome then! At Cash for Silver in Delhi, we are present in Delhi NCR with no. of branches exceeding twenty. Besides this, you can also proceed to sell your silver for cash online with us. Getting an unexpected amount in return of sale. Sometimes, it may become a loss too. The payment didn’t receive on time or taking a long time. The situations of extreme urgency are harassed by this. The cumbersome process to follow. Pay additional charges in case of applying for returns. Risk of security and safety during the transaction. All these issues create a heavy burden on mind till the time deal does not end. Cash for Silver is here to assure you that you will not face such issues while making your sale. We endeavour to get a beautiful smile on the face of our customers after completion of a deal with us. We always believe in transparency and full customer satisfaction at priority. This feature has enabled us to maintain long term association with our potential sellers and buyers. We are here to buy all types of items of silver, diamond, gold, and platinum. The best feature provided by us that we offer the highest deserving value to our sellers against their sale. We endeavour to offer 15% above price than current market value. The question comes in mind that how we are able to get a price greater than market value? We have a large base of potential buyers who are with us from more than 20 years. The expertise of our vast experienced professionals helps us to generate the highest price of the valuables. These professional experts are always available to guide how and when to act. 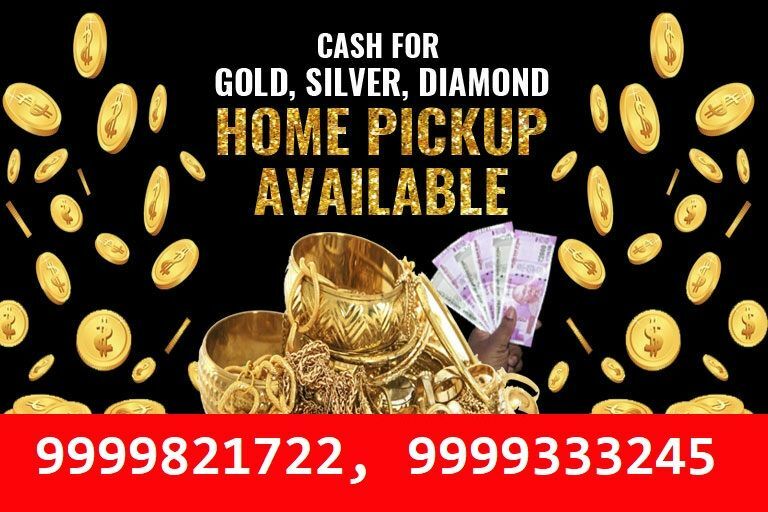 Contact our customer care number +91 9999821722, 9999333245 and sell Silver or search on Google Silver Buyer Near Me, Sell Silver Near Me, Sell Silver for Cash Near Me and get the best result. You can fill the description box mentioned below to know further details about our simple process. Also, speak to our Jewelry buyers to get home pickup service and get an idea about a profitable sale.